New with tags, never been worn. 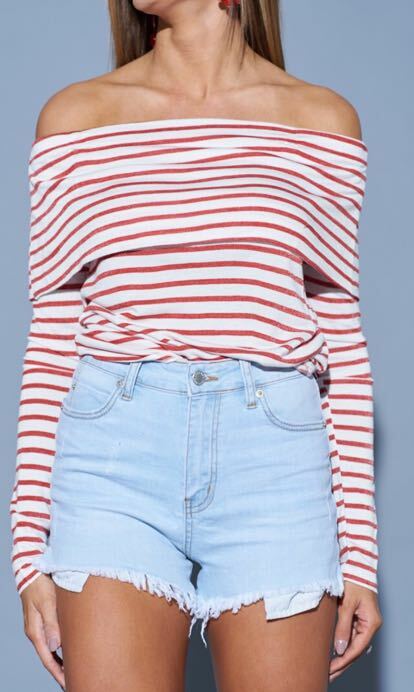 Off the shoulder red and white striped top. Perfect for game day!